Parents are always looking for hints that will make learning easier for their LD/ADHD child. 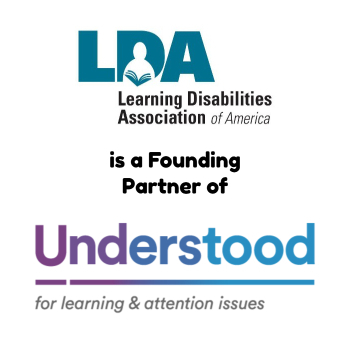 This article suggests some helpful tips that LDA parents have learned from one another over the years. It includes tips for organizational problems, auditory problems, visual and motor problems, language-expressive problems and language-receptive problems as well as tips for parenting in general. Providing structure in your family can be a good first step. Also, your local LDA parent group can often offer more tips and, most importantly, offer parental support that you need. Contact your state or local affiliate for more information and possible referrals in your area. Provide structure as best as possible within your family. 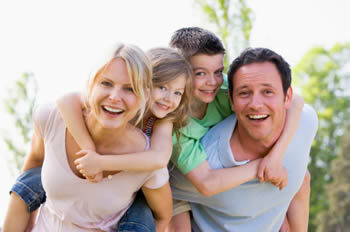 Structuring the entire family along with your LD/ADHD child will provide the child with the guidance he needs. An example: arise at 7 a.m., dress by 7:15 a.m., bed made by 7:30 a.m., teeth and hair done by 7:40 a.m., breakfast done by 8:00 a.m., and out the door by 8:05 a.m. for the bus at 8:15 a.m. Book bags, homework from the night before should be by the front door. Color-code drawers and hangers in his room. For example, red hangers for shirts, drawers with the red dot for underwear. Then make a chart so they can follow the colors and hang it on his wall. Put a chart with words and pictures in the bathroom for times and chores. An example would be brushing his teeth with toothpaste (be explicit) at 7:30. Always be prepared to redirect the child. Never take for granted that the child remembers, but try not to hang over him while he is doing the responsibility. Present the task in short directions and have the child repeat them. Make sure you have facial contact with the child when communicating with him. Allow sufficient time for the child to process and respond to the given task. Remember to give one step at a time. 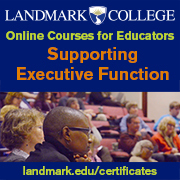 Give multiple forms of instructions, i.e., visual, auditory, written (charts), tactile. Make sure your child sits in the most advantageous seat in the classroom, i.e., if the teacher talks with her back to the child, poor instructions will take place. Make a window in a cardboard and have the child track words through this window. Allow the child to point to the words. For directionality, use green line to start on the left side and a red dot to stop on the right side. Visual sensitivity may work well with yellow paper. Encourage the child to memorize and recite the material. Have realistic expectations of the child’s handwriting and neatness and do not demand speed. Consider a note taker for the older child. Ask for alternative test methods for the child, i.e., having the student answering orally, highlighting instead of writing answers. Limit copying from the board. Encourage letter writing to friends, relatives. Have decorative paper or stationary with their name on it to make it fun to use. Keep a daily journal with your child. Have them write feelings or happenings to you and you write back the next day. Let them know that this is a special project between the two of you (also helps to promote relationships!!). Have the child relate daily activities. Encourage complete sentences if possible. Use puppets to act out stories. Create your own plot. Also use puppets to have the child talk about something that happened during the day that he might have trouble communicating to you. Go for walks and trips. Name trees, flowers, and animals to the child. Reading to the child helps with receptive language. Ask what, when, and where questions about the story. Read a story and ask the child to draw a picture of the story. Draw a picture and have the child tell a story about the picture. Always have the child repeat directions back to you. Explain words and phrases that have hidden meanings (idioms, puns, metaphors). Try to maintain family dinners as much as possible. Each family should tell what happened during the day. Mom and Dad need to support one another. If one has given a rule or punishment, the other should support and enforce what has been said. NEVER allow the child to come between you and your spouse. If you disagree with what has been done, do it later when the child is not around. Maintain your relationship with your spouse. Make a date with your spouse at least one time per month. Get a sitter and get away, even if it’s for a walk in the park or to McDonald’s for a shake and a hamburger. So much energy is placed working with the child, marriages can falter. By setting aside special time, communication can remain open and marriages can be made stronger. After your children are grown and gone, your relationship with your spouse will be sound. The above are only a few tips that help in raising an LD/ADHD child. Your local LDA parent group can often offer more tips and most importantly, offer you parental support that you need. 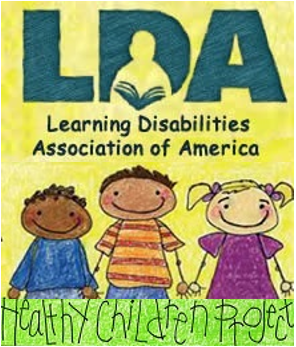 Click here to find information on your state/local LDA affiliate or contact. I like that you point out that it is important to provide structure within your family to help your child learn better. I would imagine that this would help the child know what’s going to happen each day. It seems like having children with learning disorder could be pretty stressful. Perhaps contacting a professional on how to best handle the situation would be best. My little sister has a lot of learning disabilities and still lives at home. My mom homeschools her, because she is so disruptive in the classroom. However, her disabilities really prevent her from learning a lot and so I know that this post will really help both her and my mom out. I think that they will especially like the family reward chart, because my younger sister really thrives when she is rewarded.